We collect data about you through a variety of different methods. These include through directinteractions – where you provide data by filling in forms on our site (or during other interactions with us) or by communicating with us by post, phone, email or otherwise. We may also receive Personal Informationabout you from various third parties and public sources such as through donation or fundraising platforms, ticketing or event platforms or social media. Much of the Personal Information we collect from you is necessary for us to provide receipts and information to you about the work of The Hunger Project. Some of the processing we conduct is necessary for developing and delivering our services and ensuring that we deliver relevant and focused content to you. To our related entities, including out international related entities for the purposes of operating our Charity. Only with your express consent will we use or disclose Personal Information about you for the purposes of direct marketing. Any Personal Information you choose to make publicly available on our Website, for example, by posting information about your fundraising activity or involvement on any of our pages, will be available to others. If you remove information that you have made public on our Website, other users may have already saved or downloaded that information, and copies may remain viewable in cached and archived pages of our Website. Personal Information may be stored both electronically and in hardcopy form. We are committed to keeping your Personal Information secure regardless of the format in which we hold it and we take all reasonable steps to protect your information from misuse, interference, loss, and unauthorised access, modification or disclosure. However, your use of the Website and the transmission and exchange of information is at your own risk and we accept no responsibility, whether we are deemed to have been negligent or not, in the event of a breach of your privacy. In the event that Personal Information is compromised as a breach of security, we will promptly notify those affected in compliance with applicable law. We use a third party credit card processing company, to bill you if you purchase services, including but not limited to, making a financial donation or investment, the online purchase of an event or workshop ticket. These companies do not retain, share, store or use personally identifiable information for any purposes other than billing. We will deal with all requests for access to Personal Information within 72 hours. Requests for a large amount of information, or information that is not currently in use, may require further time before a response can be given. We will also refuse access where the Personal Information relates to existing or anticipated legal proceedings, and the information would not be accessible by the process of discovery in those proceedings. Further, we will refuse access where your request is frivolous or vexatious, and where we reasonably believe that: giving access would pose a serious threat to the life, health or safety of any individual, or to public health or public safety; unlawful activity, or misconduct of a serious nature, is being or may be engaged in against THPNZ and giving access would be likely to prejudice the taking of appropriate action in relation to that matter. If we refuse to give you access we will provide you with reasons for our refusal, unless doing so would be unreasonable in the circumstances. If you have signed up via the Website, or are signed up to receive our communications, we will retain your Personal Information for as long as your account is active, or as needed to provide you with our services. We will also retain and use your Personal Information for as long as someone could bring a claim against us, and as necessary to comply with all other legal obligations and regulatory requirements, to resolve disputes and to enforce our agreements. To provide you with the best service possible, we may use ‘cloud’ based technology services to hold your data, including your Personal Information. As a consequence, your data, including your Personal Information may be held in the data centres used by a provider of such ‘cloud’ based technology services. It is important to note that, by becoming an investor, donor, or supporter, or by using the Website, you consent to your data, including your Personal Information being transferred to data centres located outside of New Zealand. Your decision to become and investor, donor, supporter or to use the Website also signals your consent to this technical arrangement under which THPNZ does not exercise any direct control over the management of your data in those data centres. A number of our related entities are incorporated and located overseas. We may disclose your Personal Information to our related entities for the purposes of operating THPNZ and providing you with our services. 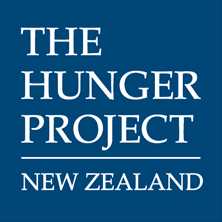 To unsubscribe from our email database, please do so via any link or functions contained in an email, via the Website or send an email to nz@thp.orgwith “UNSUBSCRIBE” typed into the subject line of the email. If you consider that we have not adequately dealt with your complaint, you can make a further complaint to the Office of the Privacy Commissioner, which has complaint handling responsibilities under the Privacy Act.